Fall is a great season to enjoy an exotic food once reserved for royalty. While often considered a vegetable and prepared like one, the mushroom is actually a fungus, a special type of living organism with no roots, leaves, flowers, or seeds. A time-honored food in many cultures, mushrooms have traditionally been used as an antitumor, antifungal, and antiarthritic medicinal food. Today, mushrooms have emerged as quite the powerhouse in terms of both flavor and nutritional value. A notable source of B vitamins, phosphorus, magnesium, potassium, and selenium, mushrooms are also a significant source of fiber, with 3 g in a typical 3.5-oz serving. Mushrooms are the only “plants” that provide a natural source of vitamin D. Similar to the way humans absorb sunlight and convert it to vitamin D, mushrooms contain a plant sterol—ergosterol—that converts to vitamin D2 when exposed to ultraviolet light. 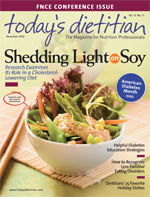 Due to natural variability, vitamin D levels can range from 1% to 97% of the Daily Value (400 IU) per raw 84-g serving. Ounce per ounce, mushroom species pack a phytochemical punch, containing compounds that may reduce cancer risk and improve immune function. Although many mushroom varieties exist, this article focuses on the Japanese mushrooms with the most potential medicinal benefits and flavor to boot. King trumpet (Pleurotus eryngii), also known as king oyster, is an edible mushroom native to regions of Europe, the Middle East, and North Africa but also commercially grown in Japan and the United States. The largest species of the oyster mushroom, it has a thick white stem and a small tan cap and is known for its robust, somewhat earthy flavor and more meaty texture. While all mushrooms contain some ergothioneine, specialty mushrooms such as king trumpet and maitake contain higher amounts than shiitake or white button varieties; a standard 3-oz serving can contain up to 13 mg. As with most phytochemicals, ergothioneine levels do not decrease during cooking. King trumpet also contains statins such as lovastatin, which has been shown to significantly reduce cholesterol levels in rats.3 In a small clinical study, 30 subjects with diabetes ingested oyster mushrooms over a 21-day rotation period.4 Subjects demonstrated significant reductions in total cholesterol, triglyceride, and glucose levels. Beta-glucans found in many mushrooms may also have a lipid-lowering effect. In the produce aisle, mushrooms are the leading source of the essential antioxidant selenium. The king trumpet mushroom has the ability to extract and concentrate high levels of selenium from its environment.5 The selenium in mushroom tissue is organically bound and much easier to absorb than inorganic selenium in most dietary supplements. The shiitake mushroom, native to Japan and other Asian nations, is cultivated worldwide for its purported health benefits. The fresh and dried forms are commonly used in East Asian cooking. Shiitake contain lentinan (1,3 Beta-D-glucan), thought to have anticancer effects in colon cancer cells, which may be due to its ability to suppress cytochrome P450 1A enzymes that are known to metabolize procarcinogens to active forms. Native to North America, China, and Japan, the reishi mushroom (Ganoderma lucidum) has a purple-brown color with a long stalk and distinctive shiny cap shaped like a fan. Prized for its purported health benefits rather than its strong flavor, it grows on plum and oak trees. The reishi mushroom has traditionally been used for enhancing the immune system and addressing hypertension, hyperlipidemia, cardiovascular disease, and asthma and bronchial diseases. All mushrooms are a rich source of umami, the fifth basic taste after sweet, salty, bitter, and sour. Derived from the Japanese word umai, meaning “delicious,” umami is usually described as a savory, brothy, rich, or meaty taste sensation. Umami contributes a satisfying flavor and full-bodied taste with distinctive aroma and mouthfeel. The more umami present in food, the more flavorful it will be. All mushrooms contain umami; the darker the mushroom, the more umami it contains. Cooking at high heat, such as sautéing or grilling, or for longer periods (eg, cooking soup or broth) will intensify and develop the mushroom flavor. Grilling or broiling is a preferred method for preparing the larger mushrooms such as the maitake and king trumpet, as high heat develops their characteristic flavor. Lightly brush caps and stems with oil to keep them moist and then season them with salt and pepper. Grill or broil 4 to 6 inches from the heat source for 4 to 6 minutes on each side, brushing again once or twice. Mushrooms may also be roasted or sautéed with oil, butter, or vegetable broth to help develop flavors. Because mushrooms are so high in moisture, they also microwave well without the addition of butter or margarine. For a lower-fat option, sauté with a few tablespoons of wine or broth (instead of oil or butter) until the released juices have evaporated, about 5 minutes. Neither vegetables nor fruits, mushrooms may contribute significantly to a plant-based diet high in nutrients, including phytochemicals. And while exotic mushrooms may be new to some, all contribute flavor, texture, and possible health benefits. — Leslie K. Kay, MS, RD, is a clinical dietitian who provides technical support for the food and dietary supplement industry. 1. Dubost NJ, Beelman RB, Peterson D, Royce DJ. Identification and quantification of ergothioneine in cultivated mushrooms by liquid chromatography-mass spectrometry. Int J Med Mushr. 2006;8(3):215-222. 2. Deiana M, Rosa A, Casu V, et al. L-ergothioneine modulates oxidative damage in the kidney and liver of rats in vivo: Studies upon the profile of polyunsaturated fatty acids. Clin Nutr. 2004;23(2):183-193. 3. Bobek P, Ozdín L, Kuniak L. Effect of oyster mushroom (Pleurotus Ostreatus) and its ethanolic extract in diet on absorption and turnover of cholesterol in hypercholesterolemic rat. Nahrung. 1996;40(4):222-224. 4. Khatun K, Mahtab H, Khanam PA, Sayeed MA, Khan KA. Oyster mushroom reduced blood glucose and cholesterol in diabetic subjects. Mymensingh Med J. 2007;16(1):94-99. 5. Stajic M, Brceski I, Wasser SP, Nevo E. Screening of selenium absorption ability of mycelia of selected Pleurotus species. Agro Food Industry Hi Tech. 2006;17(3):33-35. 6. Nanba H, Kubo K. Effect of Maitake D-fraction on cancer prevention. Ann N Y Acad Sci. 1997;833:204-207. 7. Inoue A, Kodama N, Nanba H. Effect of maitake (Grifola frondosa) D-fraction on the control of the T lymph node Th-1/Th-2 proportion. Biol Pharm Bull. 2002;25(4):536-540. 8. Konno S, Tortorelis DG, Fullerton SA, et al. A possible hypoglycaemic effect of maitake mushroom on type 2 diabetic patients. Diabet Med. 2001;18(12):1010. 9. Kubo K, Nanba H. The effect of maitake mushrooms on liver and serum lipids. Altern Ther Health Med. 1996;2(5):62-66. 11. deVere White RW, Hackman RM, Soares SE, Beckett LA, Sun B. Effects of a mushroom mycelium extract on the treatment of prostate cancer. Urology. 2002;60(4):640-644. 12. Volman JJ, Helsper JP, Wei S, et al. Effects of mushroom-derived beta-glucan-rich polysaccharide extracts on nitric oxide production by bone marrow-derived macrophages and nuclear factor-kappaB transactivation in Caco-2 reporter cells: Can effects be explained by structure? Mol Nutr Food Res. 2010;54(2):268-276. 13. Borchers AT, Krishnamurthy A, Keen CL, Meyers FJ, Gershwin ME. The immunobiology of mushrooms. Exp Biol Med (Maywood). 2008;233(3):259-276. 14. Mattila P, Suonpää K, Piironen V. Functional properties of edible mushrooms. Nutrition. 2000;16(7-8):694-696.